Ugh! I'm sorry I'm so slow to respond to comments and messages. I'm slowly getting into a new rhythm around here. My son is firmly entrenched in his sophomore year, my daughter in her new home, and my grandmother is getting into a new routine, living alone. I have had more time on my hands and have tried to use it wisely. Sleeping late a few times a week, going on long walks, and knitting up a storm. I figure you guys can forgive me because I'm sure you've been there. So, I don't mean to be slow, but sometimes you just got to make things. And that was my progress on the body of my Blowing Snow Cardigan by Emily Ringelman. It's not a difficult pattern to memorize at all, but still keeps it more interesting than stockinette. This is what I want my final product to look like. Oh, I hope I don't screw up in some stupid way, it's been going so smoothly. 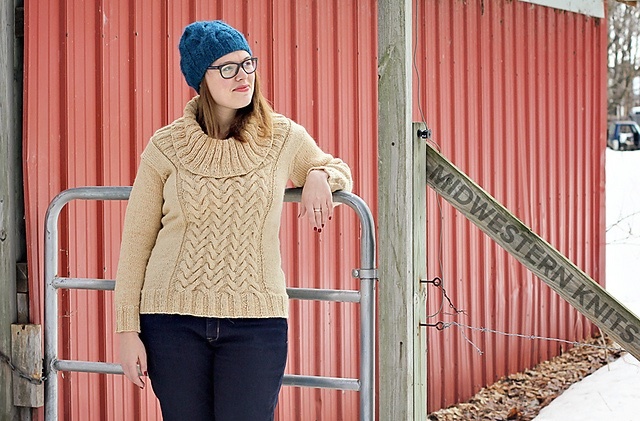 Blowing Snow is from Midwestern Knits, a book I supported back in the kickstarter phase. 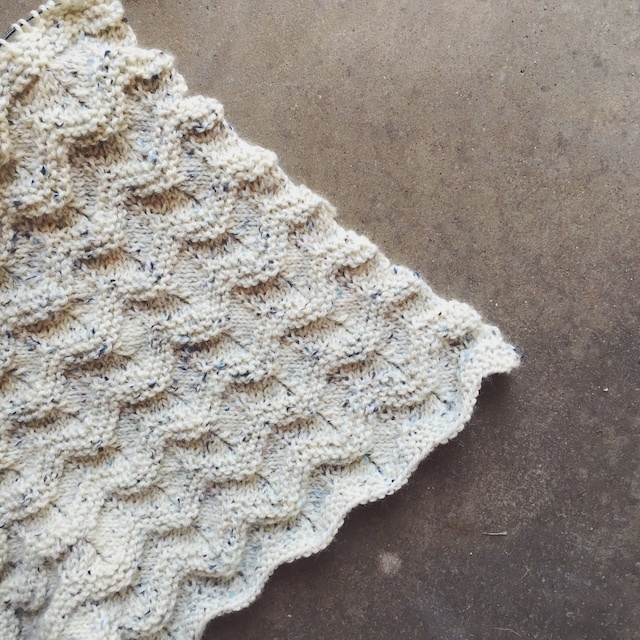 Also from this book is my next sweater, Furrowed Pullover. There's a KAL for it beginning in just a couple of days, so I thought I'd get some photos out there of my "Before." I really like City Tweed, and Jacquard is a color I've wanted to try for a couple of years, so when they had a big sale in the withering heat of summer, I jumped on it. This is the cheapest I think I could ever get an alpaca/ wool tweed like this. Listen to me, I'm always so proud of a good deal. Imagine that knit into this, below. That cowl neck is so generous! And in an alpaca yarn, do you think I'll be warm enough? Also on my needles, are some test knits for Tara-Lynn Morrison. I'll post some photos of those lovelies after I've had a gigantic blocking party. I don't think I've ever before put off blocking so many things at once. My cat has been finding all sorts of unblocked woolens to curl up on around the house. 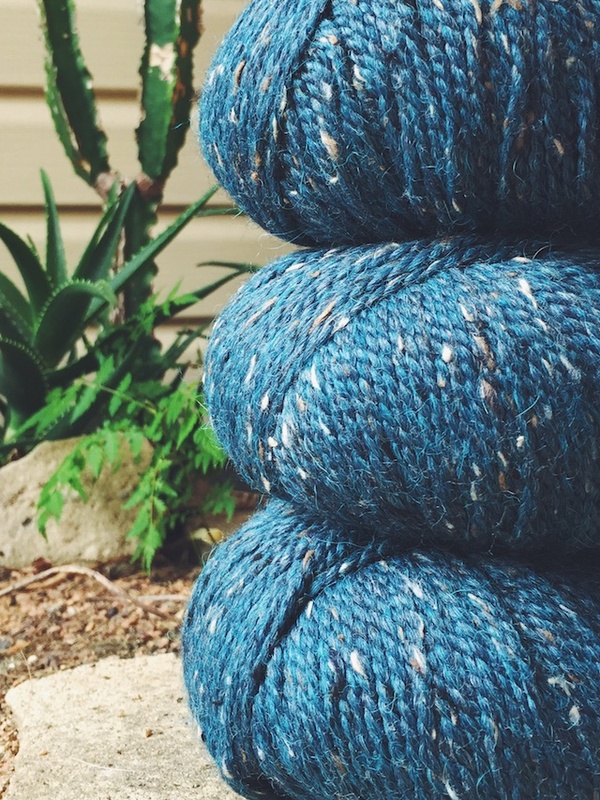 So, what's on your needles this Fall?